Join us Saturday August 26th OR Sunday August 27th for the Mazon Creek Fossil Tour! 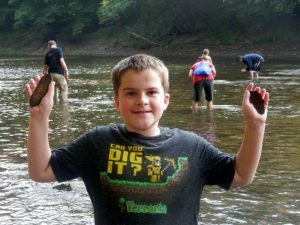 Take advantage of this opportunity to learn about the environment, ecosystems, and climate of Northern Illinois as it was 300 million years ago by collecting fossil specimens at the Mazon Fossil Beds. The adventure begins with a hayride to the original site of the discoveries along the Mazon Creek as it was in the mid-1800s and the opportunity to collect the unique concretions such as ferns and horsetails. Bring a bucket, rock hammer, shoes to wear in the creek, and casual clothing. Everyone will have specimens to take home to remember the day. Afterwards, more fun is to be had with cocktails and al fresco dining to celebrate your finds. 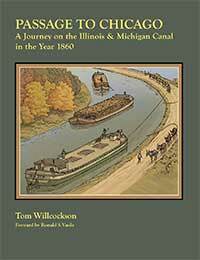 All proceeds will go to the Canal Corridor Association to help preserve I & M Canal history, protect its environment, and create tourism. Call 815-220-1848 or CLICK HERE for reservations! I missed the event this year. Is there a mailing list to be notified about it for next year? We are sorry that you missed it! If you go to the bottom of our website you can sign up for our monthly newsletter, which sends out information & reminders of our upcoming events.